Check out the exciting deals on Cyber Monday 2017. Go through the offers of the biggest online shopping event and choose items according to your need. Cyber Monday is one of the biggest online shopping events in the US. Records revealed that over the Atlantic, approx 3.45 billion worth of things were purchased in 2016, alone in a single day. But it’s not like that every buyer bagged the best discounts from the deals on that day. People need to think and search more on what they should grab on during those early deals. So, starting from the Black Friday, you should wait more for a greater deal on Cyber Monday. Before grabbing the deals, let’s grab its origin first. Ellen Davis, senior vice president of the National Retail Federation in the US, announced the term “Cyber Monday” in 2005. She issued a press release named 'Cyber Monday quickly becoming one of the biggest online shopping days of the year'. Is it wise to shop on Cyber monday? It is faster and less time consuming. 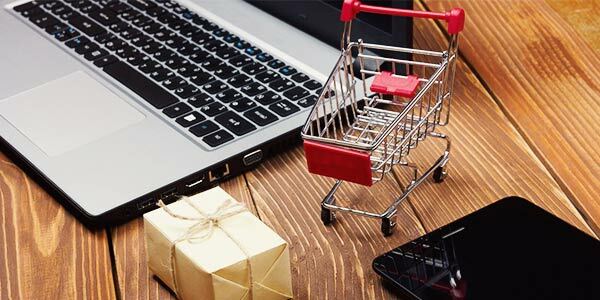 Only 25% of the total visitors of a shopping website spend time browsing through different products on several websites; the actual buyers spend less time on browsing and choose items fast. Whereas, 40% of in-store shoppers spend more time looking for their items when they visit personally. Cyber Monday provides more retailer-wide discounts rather than product-specific offers. But occasionally, some specific products also steals the show on Cyber Monday. If any seller had stocked up a particular product for Black Friday sale and then the plan didn’t work well, there could be a chance of giving a bigger discount on Cyber Monday. Most of the good deals are announced first at stores or online particularly on Black Friday. On Cyber Monday, some of the best offers might have ended for the consumers. You may consider the Cyber Monday as an extension of Black Friday, rather than a separate shopping event. Another problem with online buying is, you’ll not be able to check the product prior to buying. If you're worried about return policies, then you should read the offer documents along with the terms and conditions of the seller company. This also implied to any kind of shopping you’ve made during the Black Friday. Cyber Monday shopping allows you to visit different stores at a time. You can switch browser tabs and compare same products in multiple websites. When you shop online, you're competing with a large group of people worldwide for items. That means your desired item can sell out anytime before you check out, or it may even get canceled sometimes. For people who'd rather like to buy from their computer, Cyber Monday provides an easy option to avoid waiting in the queue. So, let’s check out some items that are best purchased during Cyber Monday since past few years. Let’s make this November 27 memorable this year. Cyber Monday is the best time for clothing and shoe deals. Shoe deals are also available on Black Friday, but we noticed some good clothing deals on Cyber Monday. Travel is actually a great buy that you can consider on Cyber Monday. Check out some best flight deals on Cyber Monday. There are deals on cruises also if you are passionate about sailing into the sea. You can also get best offers on hotels and dining during this holiday. Did you think why those beauty supply stores hold major sales on Cyber Monday? Last year on this occasion, consumers got the best discounts ever from different stores like The Body Shop,Sephora, Bath & Body Works, FragranceX.com, Lancome, E.L.F. Cosmetics, and many more. Many of these stores are also going to offer flexible sales on Cyber Monday this year. So, let’s check out the biggest beauty and skin care offers on Cyber Monday. Consumers may expect great offers on audio & video devices, cell phones, computer and accessories, and cameras in this Cyber Monday. We can't say that these sales will be better than Black Friday week's deals. For instance, Cyber Monday is not a good for buying iPhone. Buyers should focus on that phone during Thanksgiving. But we have noticed a great number of Android device deals all over America during the shopping season last year. As Cyber Monday holds an edge over Black Friday every year, let's check out some branded online store deals and offers that you don’t wanna miss.